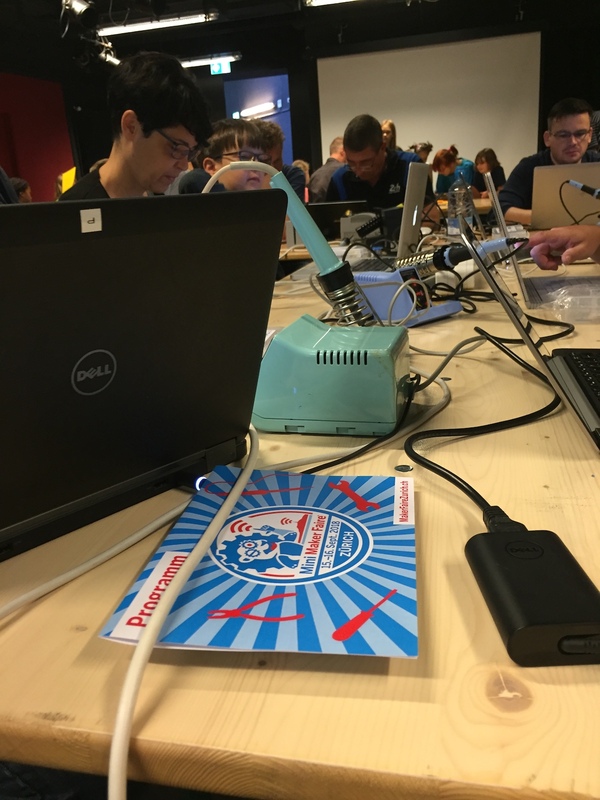 We started off with a full-day “IoT with ESP8266” introduction for participants of the CH Open “Workshop Days 2018“. As CH Open is an association for the promotion of open-source software and open standards (in Switzerland) our audience were almost exclusively developers. The age and technology range was very large, though. An interesting crowd! As we had a whole day to properly cover many topics it felt quite logical that we more or less followed the tutorial that comes with our IoT Starter Kit. So, participants learned the basics of the Arduino IDE, how to manage libraries, and how to configure build and device parameters. They also learned about the ESP8266 characteristics, how to read from and write to GPIO pins, and, eventually, how to drive an OLED display. 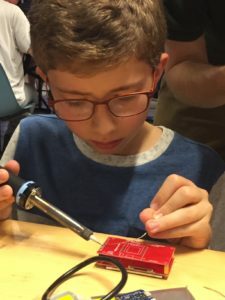 They honed their skills with many exercises before arriving at the ultimate goal: installing, configuring and tinkering with our Weather Station application. Apart from a few small glitches the whole workshop was all smooth sailing. Participant feedback was collected by the event organizer and hasn’t been made available to us yet. What we picked up in conversations with the participants was very positive, though. The second event couldn’t have been in a more different setting. Our 4h workshop was embedded in the Zurich Mini Maker Faire. Maker Faire is an event created by Make magazine to “celebrate arts, crafts, engineering, science projects and the Do-It-Yourself (DIY) mindset”. The hustling and bustling faire atmosphere was vibrant and inspiring – and challenging. We competed for tables, extension cords, vocal air space and space in general with other presenters in a side room . 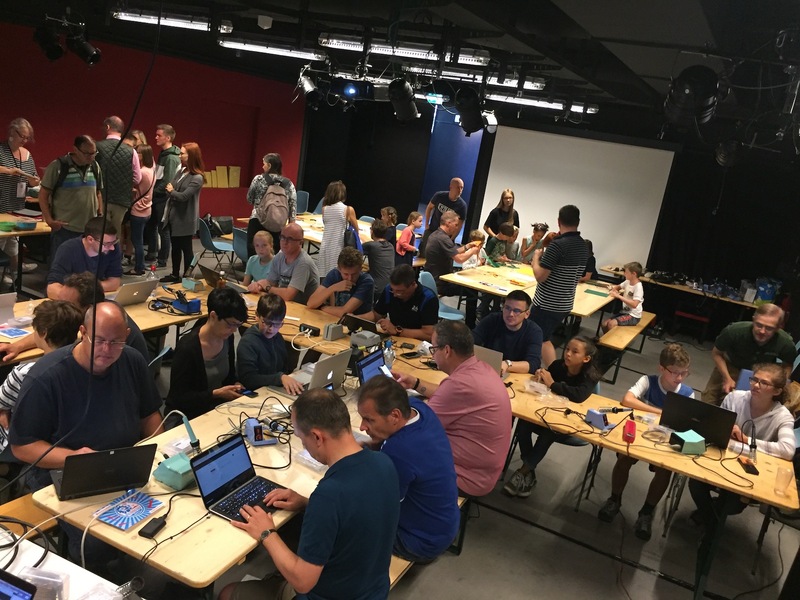 A fun but quickly tiring experience 🙂 Our audience was very diverse and included parents with kids, developers, and teachers as well as experienced makers. Usually it is extremely rewarding to get in touch with our customers, or future customers, at workshops and similar events. What we learn during teaching sessions is beneficial to our hard- and software as it directly impacts future enhancements. Workshops help us see our products with the eyes of our users. 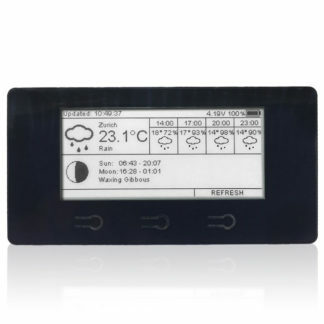 In fact, a young maker discovered a missing localization in the weather station GUI, a clear bug, and we were able to fix it the same evening. Another reason for us to run workshops is purely emotional. It is simply a great feeling to pass on knowledge and to share enthusiasm for a common interest. Helping people to get started with IoT development, to get started with anything actually, feels good.